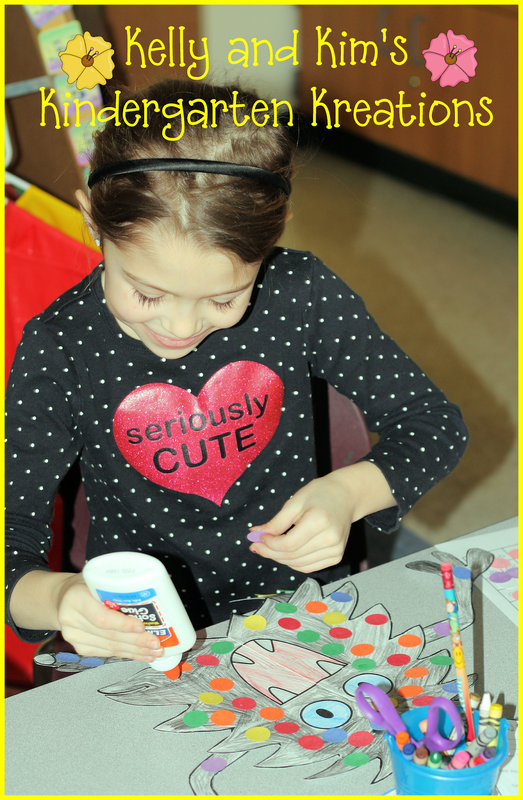 Kelly and Kim's Kreations: 100th Day Fun! We were finally able to celebrate our 100th day of school last week. It was a long time coming with all the snow days we have had. Of course, we are now on our second snow day this week too! Winter can be over now, it has overstayed it's welcome. Our classes have been in love with an adorable little monster named Dotty Dude since the beginning of the school year. He started out school with us and helped teach us how to use glue and he pops up every now and then to help us with things like addition, subtraction, coloring, cutting, etc. 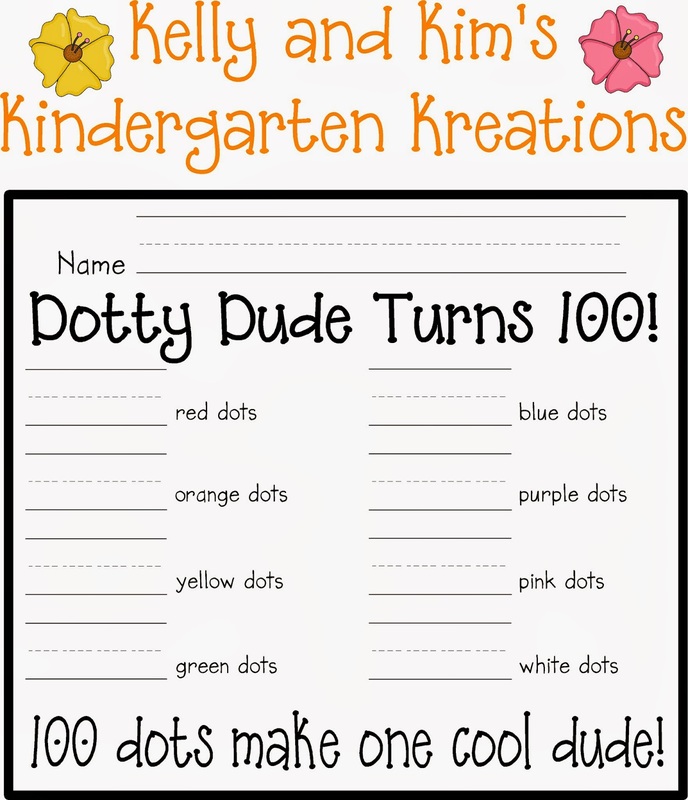 So it seemed appropriate that Dotty Dude be part of our 100 day celebration as well. In our "Dotty Dude Turns 100!" project, the children, colored, cut, and glued the dude together. They then had to give him 100 dots to represent every day we have been in school. 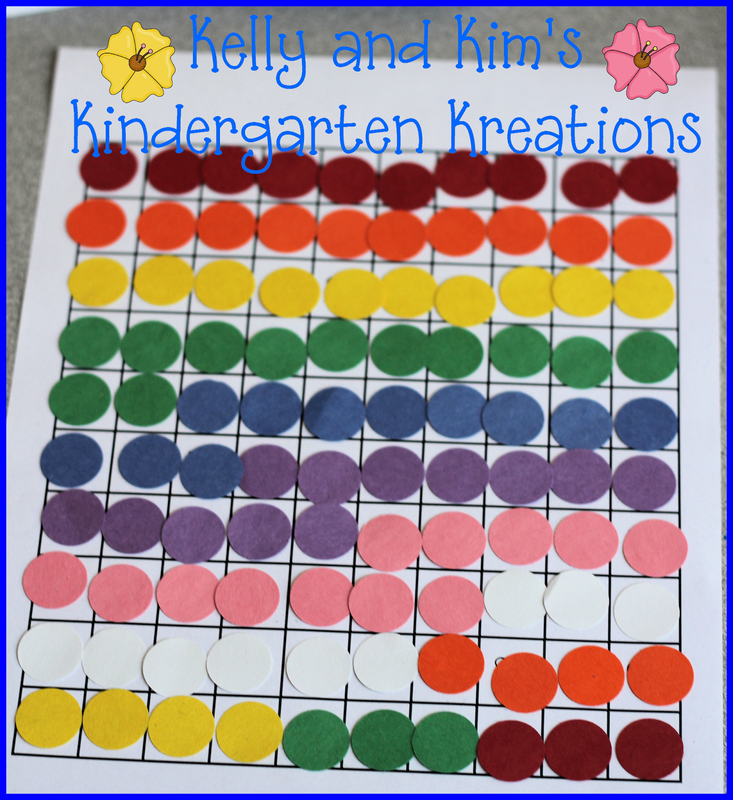 To make this task a little easier to organize, we gave the children a 100 chart to lay out their dots. Next the children recorded how many of each colored dot they had to be sure they had 100! Next it was time to glue on all the dots! Here are some final products! 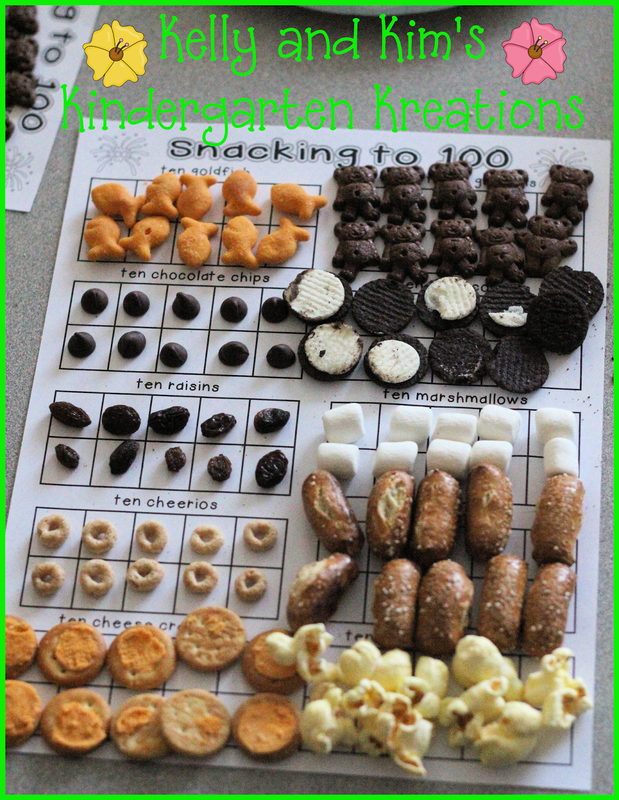 To end out our day, we had our 100th day snack. We are hoping to get back to school tomorrow to make some more memories! What do you have planned for your school week?